If you’re tired of the typical bedroom layout and are lucky enough to have a spacious room at your disposal a centered bed can give you so many new opportunities decor-wise. It’s an unspoken rule to place bed one side to a wall. You can see it in almost every bedroom picture. 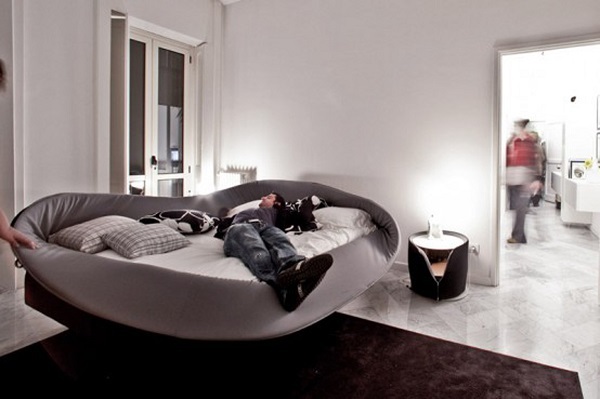 But what we suggest is to place the bed right in the center and here’s what you can do with that. 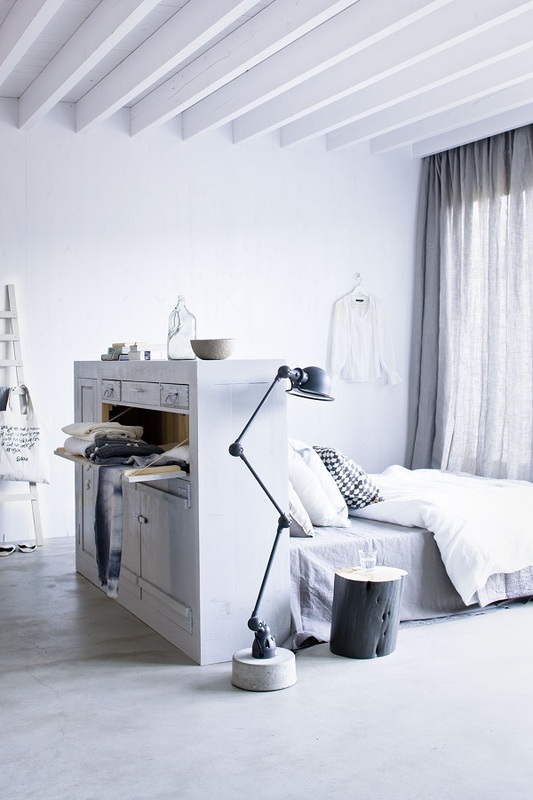 First of all, make sure that centering your bed won’t create awkward narrow pathways and restrict your traffic. Then you can start thinking about decor options. By placing a bed in the center of the room you get plenty of space behind it, which is perfect for setting up a dressing room. 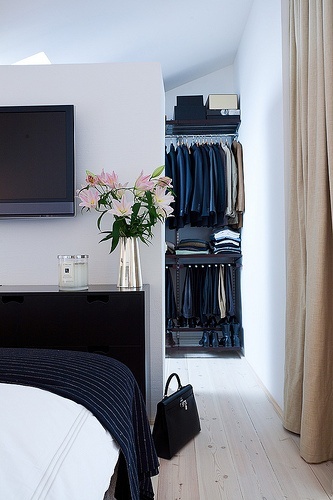 There’s plenty of privacy for it and it’s easier to disguise an open closet with either curtains or a half wall. You can alternately set up a home office behind the bed wall/headboard. It’d be a great place to hide from all the noise but be careful not to take prolonged breaks on the bed instead. 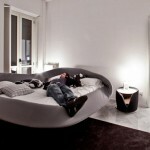 But there are not only practical ways to use the center of the room bed. You can also make it your ultimate space by clearing out the room almost completely and leaving only the bed and essentials like a nighstand. 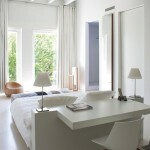 Such bedroom will help you concentrate on sleep and rest and will be easy to clean as well. 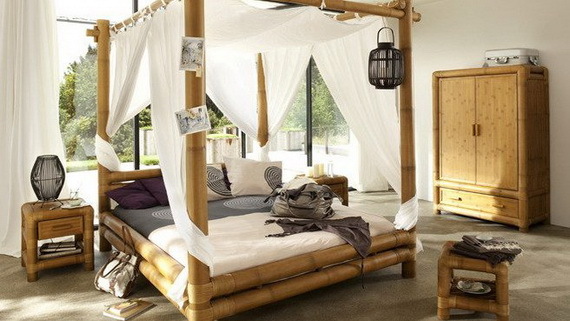 A baldachin or a canopy bed will help enhance your uber private special bedroom. 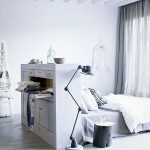 If you have too little space left at the sides of the bed simply push the nighstands to the corner of the headboard. That way they won’t stand in your way and clutter narrow pathways. With the center of the room bed you may even leave windows curtain-free to let more sunlight in. We certainly love the dramatic spacious bedrooms with just the bed in the middle of the room but even if you lack space you can use this layout to save space as mentioned above.